Ladies classic pyjamas in a traditional blue and white stripe. Available in three leg lengths. Matching pyjama shorts available in size XS, S & L (please call if you'd like to add these to your order as they are not available to buy online). 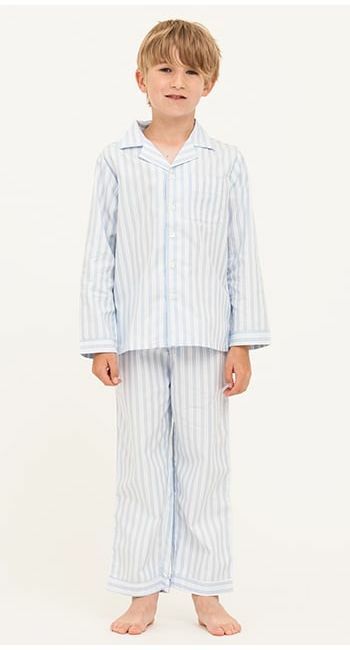 Matching nightshirt and boys pyjamas available to purchase online. Light the fire and lose yourself in the sunday papers. If you love your classic striped pyjamas, these are the ones for you.